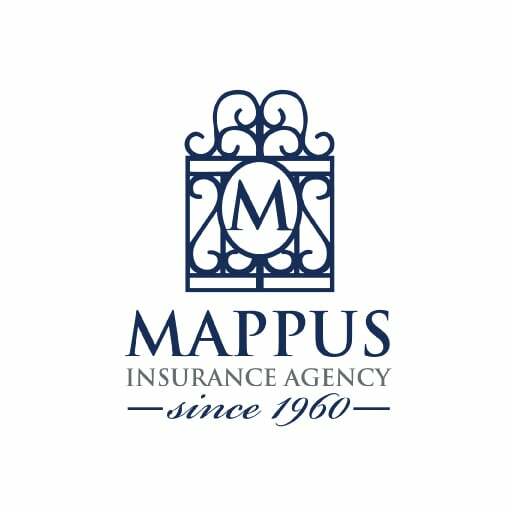 flood insurance Archives - Mappus Insurance Agency Inc.
Those people that have flood insurance, specifically in South Carolina, know that when they look at their flood policy they will find some discounts. So what are these discounts? Well, communities (counties, cities, towns) can apply for various discounts with FEMA if they meet certain guidelines. All NFIP flood policy holders will get the associated discount applied to their NFIP flood policy. For some, this can be hundreds of dollars of savings a year. The updated community discounts are available and are below. The one I want to point out is that which affects Hanahan, South Carolina. Why is this important? Because Hanahan has never been given a discount. Now that discount is 15% for A and V flood zone (5% for X zones). This can be huge some many homeowners to put money back in their pockets. Below you will find out more of the details as it relates to all the communities both positively and negatively affected by the new community rating system updates. Please reach out to our office should you have any questions and you can do so very easily by completing the form at the end of this post. Answer a few questions and we can make sure that FEMA (or the private flood insurance market) is the best flood insurance option for you. The National Flood Insurance Program (NFIP) has released an entirely restructured manual reflecting the rule changes previously announced in agency bulletin 18-H-26 and updates to the list of communities participating in the Community Rating System (CRS) program. For those not familiar with the CRS program, communities can qualify their residents and business owners for discounted flood insurance premiums if they adopt building code, flood hazard mitigation, record retention and communication standards exceeding those required for participation in the NFIP. Please route this bulletin to anyone in your office who works with Flood insurance. The NFIP Manual has been completely restructured to make it easier to find information. Please note, however, that in addition to incorporating the previously announced program changes effective October 1, 2018, inadvertent changes were made to some the NFIP manual rules. These inadvertent changes are being identified and addressed with the NFIP. At the present time, whenever a rule description in the October 1, 2018 version of the manual differs from the corresponding rule description provided in the April 1, 2018 manual, and that rule was not specifically addressed in NFIP Bulletin W-18008, the April 1, 2018 rule is to be used. The listing of qualifying communities and earned discounts has been updated. The Auto-Owners Flood system will apply the updated discounts automatically to premium quotes, issued policies and renewals. 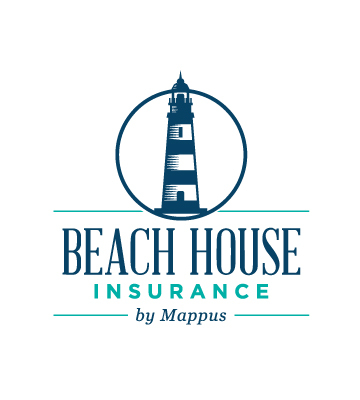 We offer them here to help identify changes that might impact your flood insurance clients. Communities qualifying for a new or increased discount are listed in the following chart. The Community Rating System discounts have been reduced or eliminated in the communities listed in the chart below. As a result, flood insurance premiums for policies issued within these communities will experience increases exceeding the annual increases adopted by the NFIP. The above revisions apply to new business and renewals effective October 1, 2018 and after. Make sure that the NFIP flood program is right for you OR if you should be in the private flood insurance market by answering a few simple questions! Start saving as soon as tomorrow! 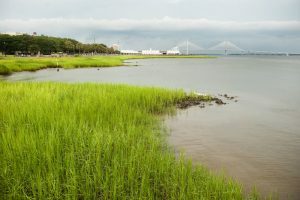 Many people in coastal South Carolina in areas like Mount Pleasant, Charleston, Isle of Palms, Sullivan’s Island are unaware of the new FEMA flood rule that allows one to move their FEMA flood policy, at any time, to the private flood insurance market. So what does this mean for YOU? Due to this massive change (FEMA flood rule 26 – part of the WYO Bulletin W-18008), you can now move your flood insurance policy from FEMA to a private flood insurance company that can possibly save you 50% or more in many cases. 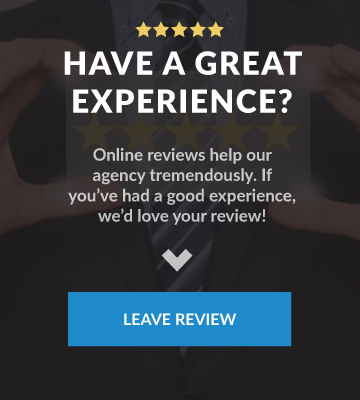 There are a few specifics that one must follow in order to do so, but it is not that hard when you are working an agency that understands the new rules and what needs to happen. Below is a brief overview of the rules and guidelines in order to make this move and start saving. We know this can sound confusing but again, if you are working with an agency that specializes in flood insurance, they can help make this process go as smooth as possible for you. The private market/non-NFIP policy must be for building coverage on the same building that is insured by the NFIP policy being canceled. Many people are asking, what is the “federal policy fee” and “how much is that” since it is non-refundable. For most people, this is a $50 fee. What does “pro-rated” mean? Think in terms of a 365 day year or even easier a 12 month year. Let’s say that your current FEMA flood policy is effective 8.1.2018 and you want to move your policy effective 11.1.2018. You “used” 3 months of your policy so you are entitled to 9 months of your premium back, less the $50 federal policy fee. How long will this process take? We are not 100% sure, however, when a typical policy is canceled at renewal or due to a home closing, it is fairly quick and the refund is processed within the week. Do I have to let my mortgage company know? Yes. This is part of the deal. You must get a statement from your mortgage company that they are OK with you moving to the private flood market. Will my mortgage company approve this move? In every case we have been involved in with private flood insurance, 100% of mortgage companies and lenders have approved the private flood insurance that we offer. We recommend to contact us (below) and provide us with a copy of your current flood insurance policy. If you have an elevation certificate, please provide that as well. 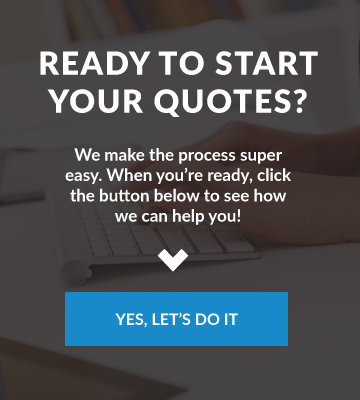 We will do the research from there and help you determine which of our private flood insurance companies will be best for your situation and we go from there. Fair enough? This week FEMA released the latest elevation certificate form to be used for all new construction building when rating a flood policy. If you currently have an elevation certificate for a home that was built prior to July 31st, 2016, you DO NOT need a new EC. Old Elevation Certificates are still valid for rating! 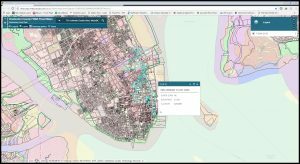 To review the new Elevation Certificate, click here. Is there a waiting period for my flood insurance policy? Question: Is there a waiting period for my flood insurance policy? With the recent flooding occurring all over the Lowcountry this weekend we would like to provide valuable information on filing a flood claim and understanding the process. To file a claim, be sure to have your flood policy in front of you as you will need a policy number to provide. If you cannot find your policy, please contact our office and we can assist you. We do recommend filing the claim directly but our staff is here to assist should you need it. Below are a few claim phone numbers as this is the easiest way to file a claim and get confirmation of the receipt. Please keep in mind your deductibles when considering filing a claim. Additionally, there is a separate deductible that applies for each the dwelling/building and your personal belongings. Personal belongings are valued on an “actual cash value” (ACV) basis which is replacement cost less depreciation. Dwellings can be valued on either a replacement cost basis (RCV) or ACV basis depending on if it is a primary or non-primary dwelling. Do what you can to mitigate the situation if you do have water damage. Put your belongings on higher levels or on counter tops to prevent damage. Most importantly, be safe and keep your family safe. Your belongings can be replaced, your family cannot. Call us if you have questions, 843-763-4200. If you do not have a flood policy and are interested in one, please complete the form by following this link – I want a flood policy or complete the form at the bottom of this article. This month, Mappus President Andrew Muller traveled to Washington, D.C. to speak with lawmakers about insurance related bills and laws such as flood insurance reform as part of the Big I Legislative Conference. Pictured here with SC Congressman Joe Wilson. Over the weekend, our own Andrew Muller was a guest on Bill Sandvig’s radio talk show, Mortgage Matters, to give some insight on the upcoming flood insurance changes that go into effect on April 1st. Click on the link below to listen! Flood policies are still assumable/transferable. The only policies that I know of that are not assumable/transferable are serviced by USAA. Pre-firm rates are still available. The rates are just going away at an average of 15% rate increases annually for primary dwelling policies until they reach the “full risk rate”. The actual rate increase can be anywhere from 5-18% on an individual policy. Pre-firm Non-primary and non-residential policies will see a 25% rate increase annually until they reach the “full risk rate”. What is the Full Risk Rate? Full Risk Rate is only known by getting an elevation certificate completed and this is strongly recommended on every pre-firm property one is considering to purchase to fully understand their future potential cost for flood insurance. Photos are required for all assumed/transferred policies. This is a NEW rule and could cause issues if there is a difference with the current policy and what the photos show. I.E. Lower level is enclosed into a livable space or addition is added that changes the foundation. It is unknown how impactful this new rule will actually be. There is a NEW $10,000 deductible option. This will save approximately 15% when moving from a $5,000 deductible. Always get lender approval prior to making this move. To learn more about the April 2015 changes, click here. Every property can be different and these are just examples of how a specific property might be affected. Remember that rate increases for pre-firm policies will go up by an average of 15% annually if a primary property and 25% if non-primary so this is not a 1 time increase. An elevation certificate might help a pre-firm property with their rates but not always.